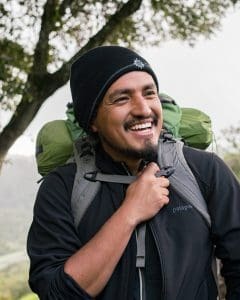 Mammoth Lakes, CA (May 25, 2018) – Next Tuesday, May 29th, Mammoth Lakes Recreation is sponsoring a special outreach event with José González, founder of Latino Outdoors at the Mammoth Lakes Library. Latino Outdoors works to bring cultura into the outdoor narrative and connect Latino communities and leadership with nature and outdoor experiences. Their goal is connect families and youth with nature, engage and inspire Latino leadership, empower communities to explore and share their stories in defining the Latino Outdoors identity. The event starts at 5:30 pm at the Mammoth Lakes Library and is free to the public. All ages are welcome.